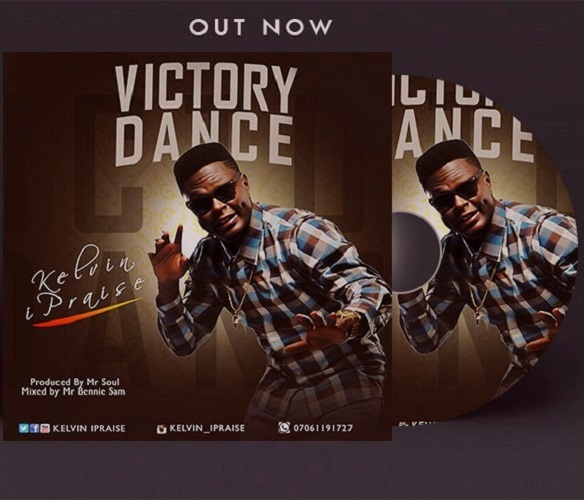 Fast-rising gospel artiste, Kelvin iPraise is at it again as he drops new single titled ‘Victory Dance‘. The new track is a sequel to his much-talked-about single ‘The Chosen One‘ which he released in January. The track assures of victory sought for, it also inspires the listener to dance in view of an anticipated victory. Meanwhile, the lyrics of the track is such that strikes in retrospect biblical king David dance when the recovered Ark of the covenant was brought back to Jerusalem as recorded in 2Samuel chapter 6. Unlike the debut single, Chosen One, which has a slow reggae beat, is patterned with a rather fast beat which is in consonance with its title, Victory Dance. There is no gainsaying the fact that Kelvin iPraise is about taking his fans into a greater dimension of grace, as they proclaim victory worth leaping and dancing for like that of King David. Victory Dance was produced by Mr. Soul and it’s poised to give you a change of story.